Bats are small, and this means they can enter your home through tiny spaces—even holes as small as 3/8 of an inch. In order to remove bats permanently from your Dallas or Fort Worth property, it is imperative that all nesting and entry sites are found, removed, and sealed. Bats are a species protected by state and federal law, and because of this, Legacy Rodent Control offers bat removal in the Dallas-Fort Worth area that follows these very specific guidelines. It takes trained wild bat control specialists like Legacy Rodent Control, with the knowledge and experience necessary to remove bats and their colonies responsibly and humanely, within the guidelines and schedule prescribed by the state and federal government. 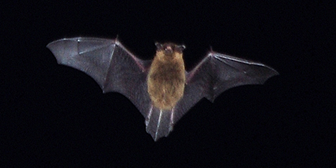 Typically, the best time to implement bat control in Dallas and Fort Worth, Texas, area is the late summer and fall. This is when bats have had their babies and babies are ready to leave their mother. Legacy Rodent Control will advise you when the best time is to remove the bats that have infested your home. After bats have been removed from your property, Legacy Rodent Control will decontaminate your space and mitigate any damage caused by the infestation. It is especially important to have your property professionally decontaminated after our bat removal services because they often carry rabies and other diseases deadly to humans, as well as mites, fleas, and other bugs that can cause a secondary infestation at your homes or business. 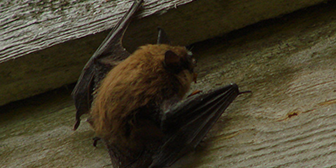 · Dark brown or black stains near your eaves or attic vents, caused by oils in bat fur as they enter and exit your home. · Bat droppings, also knowns as guano, in your home or yard. · Seeing a bat at dawn or dusk. If you have signs of a bat infestation, call Legacy Rodent Control for safe and responsible removal services. Bats eat insects, and they are great at keeping the mosquito population around your home at a minimum. It is this characteristic that keeps them protected. They are considered a significant benefit to agriculture because they eliminate pests that could damage food crops. Bats feed at night, and like warm places, and may like living near the eaves of your home. There are over 1,000 species of bats worldwide. Some bats live in colonies and others prefer to fly solo. They are active at night, so you may hear noises like scratching or chirping coming from your attic at night when they leave to feed, or in the early morning when they are returning back to your home or business. Bats mate once a year, with a gestation period ranging between 40 days and 6 months. The number of babies per litter varies. Young bats stay near their mothers till adolescence, and mothers are naturally very protective of their babies. Bats hibernate during the winter, and typically start looking for the perfect place to stay warm during cold months. For them, the perfect place is often in your attic. It’s cozy and warm because of all of your insulation. When winter is over, bats migrate to warmer climates for the summer months.